In this day and age, space exploration could very well mean our destiny. A parable may disagree by saying we keep on exploring the unreachable outer space when we cannot even solve our problems here on Earth. But that doesn't really stop us puny human beings to do just the same. 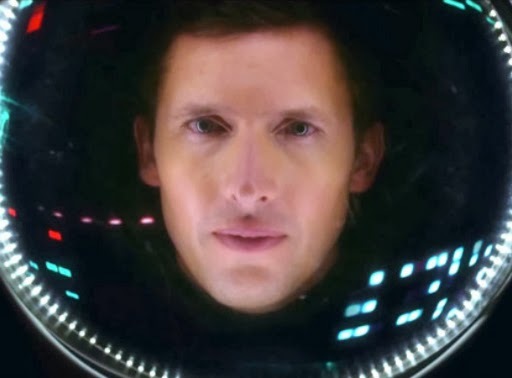 We are about to be blinded by the thrill of space exploration with Gravity, a movie directed by Alfonso Cuarón, and if that's not enough James Blunt adds his own fair share on strengthening the continuing outer space dream not only with the lyric video of Satellites, but with the entire menu of his upcoming album Moon Landing. Sing along with this official lyric video of Satellites by James Blunt. Satellites is the second track from this new album offering by James Blunt. The dude is definitely getting better with his song writing and singing, of course, as evidenced by the first few songs that he have already released from the album. This song about feeling alone in this already crowded world is so relatable to all of us. With the rampancy of technology, such as iPhones and laptops, we tend to forget the people in front us and cater to the relationships we have over the cyberspace -- if you ask me, they are merely made up of bits of 1s and 0s. We are more affiliated with the virtual world we have online than the actual, physical world we call L.I.F.E. Just pay attention to the lyrics of the song above, so you'll know what I mean. Moon Landing will lift off and land on music stores on October 18, 2013.